Pope Francis traveled from the airport to Wawel cathedral in his open-sided popemobile, flanked by security vehicles, passing through streets lined with people. After welcome speeches, he prayed at the tomb containing relics of John Paul II, his predecessor-but-one and revered by the public in his home country. The pontiff also had a private meeting with Polish bishops. 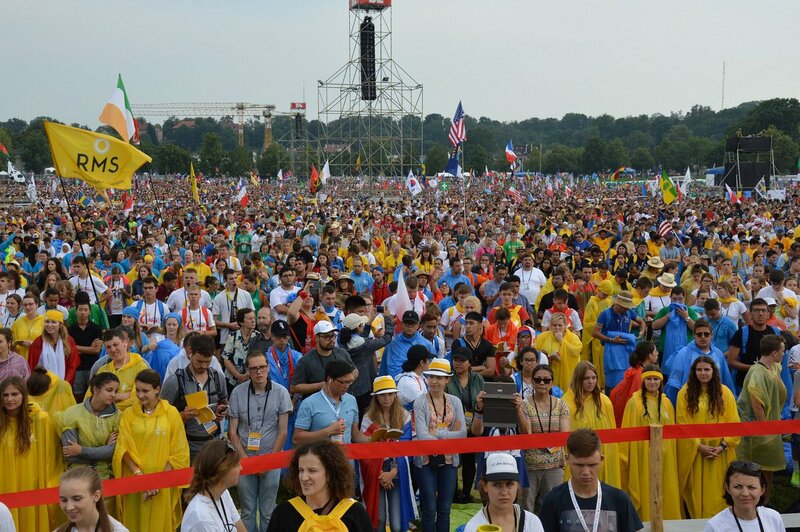 More than 350,000 pilgrims from 187 countries have registered for World Youth Day in Kraków. The biggest national groups are from Poland, Italy, France, Spain and the US. Many locals have taken holidays this week to avoid the crowds, road closures and security checks. City center streets are dominated by large groups of pilgrims – some in national dress or religious robes, but most in shorts and t-shirts. Outbreaks of chanting and singing fuel an atmosphere reminiscent of a major football tournament crossed with a political rally. 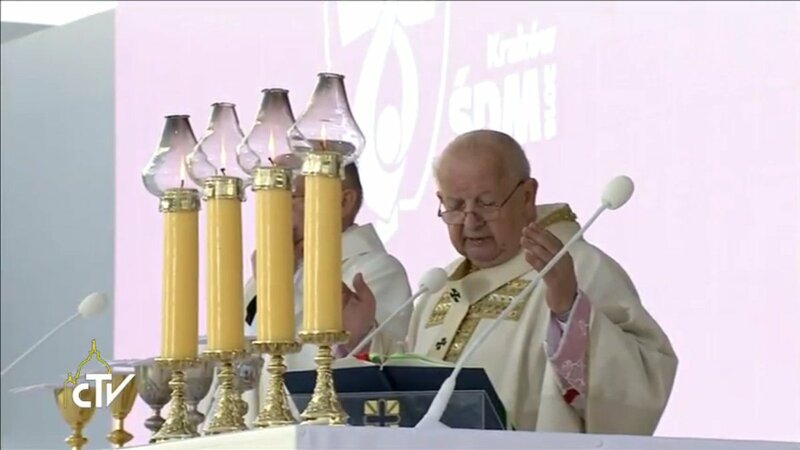 Thousands of pilgrims have taken over not just Krakow but many places around it, including Wadowice, the nearby hometown of St. John Paul II. The excitement will ramp up even more with the arrival of Pope Francis on Wednesday. Over the next week, hundreds of Krakow’s churches, and even sports arenas, will hold catechesis sessions given by some of the world’s 844 bishops and 47 cardinals who are expected to attend this week. There will also be concerts, musical plays, a soccer championship and countless other activities - all part of World Youth Day (WYD), which isn’t actually a “day” but a week long youth rally. From the moment Pope Francis shows up Wednesday afternoon until Sunday evening when he departs, he’s scheduled to deliver nine speeches and three public homilies. Our Marianist pilgrims have joined together in Kraków for the Opening Mass of 2016 World Day. Marianist pilgrims meeting lots of pilgrims from around the world! Sixty Marianist high school students traveled to the Worship Night in America in New York City on Saturday evening. GRAMMY and Billboard Music Award winner Chris Tomlin came together for "Worship Night In America" selling out NYC's Madison Square Garden. " Our Marianist World Youth Day pilgrims have arrived in the hometown of Saint John Paul II. Saint John Paul II's family home in Wadowice, Poland. It has been a historic house museum since 1984; it preserves its original structure and houses a collection of objects that belonged to the Wojtyła family. The museum also commemorates Wojtyła's life and his work in Poland until he left Kraków for the Vatican in 1978.
against the anger of my enemies you raise your hand. Our psalm today asks us to develop an attitude. It encourages us to be thankful. They say the number one happiness habit is being appreciative. Fostering an attitude of gratitude. Not just feeling but expressing thankfulness. Writing a thank-you notes. Counting your blessings and literally listing them until your haves overwhelm your have-nots. Being courteous. 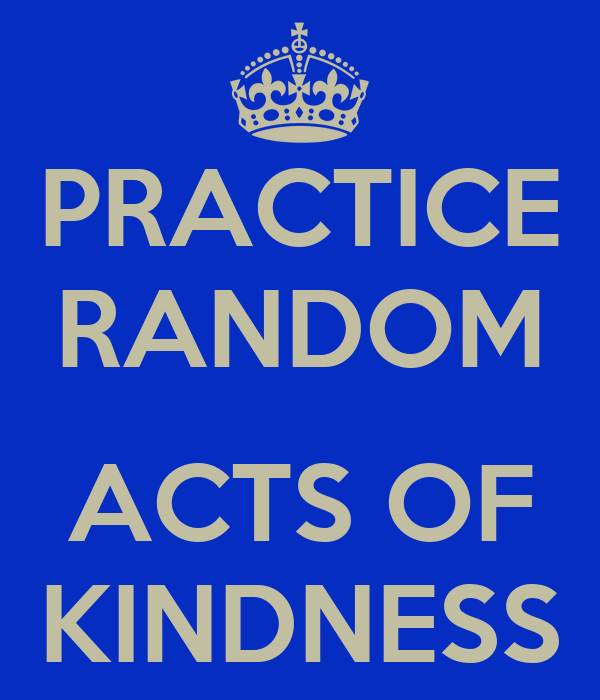 Don’t make your acts random and senseless. Make them planned, intentional and habitual. Attach them to people around you so you can infect them with happiness also. When it’s truly expressed to God and others, it both changes us and means that we have been changed already. The hottest part of the summer seems to be upon us in the North East. The intensity of the sun and the humidity that accompanies the summer months is here once again. It does not take too long to prepare for the Seventeenth Sunday in Ordinary Time by perusing the readings for this week even in the heat and humidity. Saint Paul offer us some pointed words on what Christ has done for us. He instructs us that in baptism we are "buried with him" and also "raised with him." Now we who were once "dead in trespasses," God made us "alive together with him when he forgave us all our trespasses." The record of sin that has been erased, nailed to the cross of Jesus. We are not dealing with a philosophy here, nor are we relying on memes or emails or instant messages from multiple sources to guide and direct our lives. Rather, we rely on the One who triumphed over all in his sacrificial death and resurrection on our behalf. To put it another way, Jesus is not only the light by which we can view the world, he is the source of light itself, "the image of the invisible God, the firstborn of all creation." Paul points us to an even greater light and an even greater source of new life. At the canonization mass for Popes John XXIII and John Paul II, Pope Francis spoke of the latter with these words: “In his own service to the People of God, John Paul II was the pope of the family. Karol Wojtyla, marked at an early age by suffering and loss in his own family, would grow up to be a priest, Bishop of Krakow, the Bishop of Rome, a hero and saint for the ages. Throughout his pastoral ministry, he taught the world about the dignity, beauty and sacredness of marriage and family life. St. John Paul II is one of the patron saints of the 2016 World Youth Day being held in Krakow, Poland. There over 100 of our Marianist pilgrims will participate emphasizing the impact of the love and life of families on our society. ROME- At Pope Francis’s request, the annual observance on the Catholic calendar of St. Mary Magdalene, referred by some as the “repentant sinner” or “the prostitute,” and also the one who first witnessed and proclaimed Jesus’ resurrection, has been made a major feast marking women as the first evangelizers. Liturgically speaking, the decision puts Mary Magdalene on par with the celebrations of the male apostles. On the modern Church calendar, saints are remembered with a “memorial”, a “feast”, or a “solemnity”. On July 22, already designated a feast of Mary Magdalene, there are another 11 saints similarly honored, but now with the decree released on Friday, hers takes precedence. Roche drew attention to the fact Mary Magdalene was the first witness to Jesus’ resurrection, and also the one tasked with sharing the news with the apostles. “Saint Mary Magdalene is an example of true and authentic evangelization; she is an evangelist who announces the joyful central message of Easter,” he writes. Roche also notes that St. Thomas Aquinas, considered a Doctor of the Church, referred to St. Mary Magdalene as “Apostle of the Apostles,” because she was the one who announced Jesus’ resurrection to them and the world. “Therefore it is right that the liturgical celebration of this woman has the same grade of feast given to the celebration of the apostles in the General Roman Calendar, and shines a light on the special mission of this woman, who is an example and model for every woman in the Church,” Roche wrote. Although the popular imagination - think Dan Brown’s The Da Vinci Code - is sometimes tempted to fantasize about Mary Magdalene as Jesus’ wife or lover, in Western Christianity she’s traditionally been identified with three figures in the New Testament: Mary of Magdala (Lk. 8:2); the sinful woman who anointed Jesus’ feet and washed them with her tears (Lk. 7:36-50); and Mary the sister of Lazarus and Martha of Bethany (Lk. 10:38-42, Jn. 11). In the rank of Church celebrations, feasts are the second category, marking some saints, like the apostles, and other important events in Christian history such as the Baptism of the Lord, the Conversion of St. Paul, the Transfiguration. A solemnity holds the highest rank among Church celebrations, and there are 24 in the annual liturgical calendar, including Christmas, Easter, Pentecost or Corpus Christi. Memorials most often honor and focus us on the life of a saint. “Any discussion of women in the Church must proceed from that,” he said. Moroney said the move reminds him of Pope Benedict XVI’s reflection on Mary Magdalene in 2006: “A disciple of Christ is one who, in the experience of human weakness, has had the humility to ask for his help, has been healed by him and has set out following closely after him, becoming a witness of the power of his merciful love that is stronger than sin and death,” the emeritus pope wrote. Contemporary Christian singer Chris Tomlin just released the single "Jesus" from his forthcoming studio album, which he wrote to provide comfort to people facing challenges in their lives. "I hope you're encouraged no matter where you find yourself when you hear this song," Tomlin said. "Know that Jesus is with you, He is for you and He loves you." The lyrics of the song go: "There is a truth/ Older than the ages/ There is a promise/ Of things yet to come/ There is one/ Born for our salvation/ Jesus." Tomlin earlier asked his fans to be part of the music video for "Jesus" by submitting personal photos and videos of their praises and prayers for God. "We've been receiving so many stories from all over the country and all over the world about people who are going through the hardest times or going through the best times and how Jesus has been right there," Tomlin shared. "They're reaching out to Jesus in the low days and the high days as well." It's hard to say what's most exciting about the young men making promises of the Novitiate. Is it seeing them in their habit for the first time or just hearing their own enthusiasm following their call to religious life. 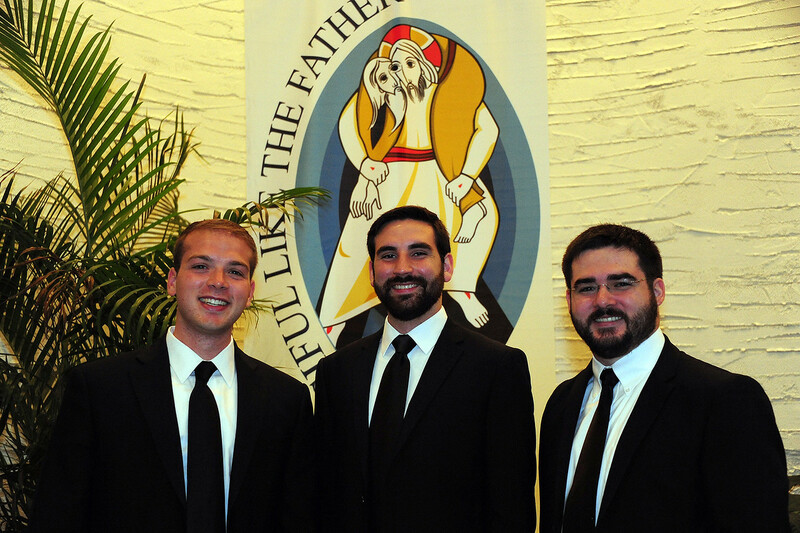 On Saturday, July 16th we added Bro Patrick Cahill, Brother Peter Sennert and Brother Andrew Santoriello to the Marianist Community. The conversions we usually hear about, whether of a religious nature or of some other type, are often accompanied, at least initially, by excitement, passion, intensity, an eagerness to tell others about it and efforts to make significant changes in one’s life. And often, the converted person looks back at the time of the conversion as a significant turning point. For example, consider how the folk singer Judy Collins describes her turn from classical music performance to folk music performance. She was 14 years old when this happened. She had been playing piano for 11 years and loved classical music. Her piano teacher was a famed conductor and pianist, and told Collins that she had a bright future in classical music performance. But then one day, while Collins was preparing to perform with a local orchestra, she happened to hear an old English ballad on the radio. It was the first folk song Collins had ever heard, but it captured her. That sounds like conversion to me. Likewise, our Marianist way is a life of conversion. It is the primary work of anyone truly dedicated to Mary and the Gospel. God calls us all to conversion. The love of God changes us, turns us in new directions, and challenges us to be committed to the lifelong work of conversion. In the end, we not only change for the better, but become more truly ourselves. The joy of our religious vocation allows us to be thankful for so many things. In our Province we must never lose the habit of being appreciative. Fostering an attitude of gratitude is not just feeling but it is expressing thankfulness. Counting our blessings and literally listing them until the "haves" overwhelm the "have-nots." Consciously being aware of the services that we do for one another. Preparing the meals, retrieving the newspapers, locking up each night, and checking up on one another are just a few of the day-to-day courteous actions in our Communities. There is a case study in which one group of people listed five things they were thankful for. They did this weekly for 10 weeks. Comparison groups in the study wrote different kinds of weekly lists — “five major events,” “five hassles this week,” etc. The “thankful” group reported more happiness and contentment than did the comparison groups. They even reported improved health in the form of fewer headaches and coughs. So, skip the doc. Just say “thanks” more. In pay-it-forward fashion, people we intentionally thank will also experience increased happiness. Expressing gratitude is the stone thrown into the flat water. It creates a ripple that affects everything around it. The new age bumper sticker encourages us to “Practice random acts of kindness and senseless acts of beauty." Don’t make our acts random and senseless. Make them planned, intentional and habitual. Attach them to Brothers with whom we live so we can infect them with happiness also. We can think of this as a halo of happiness. 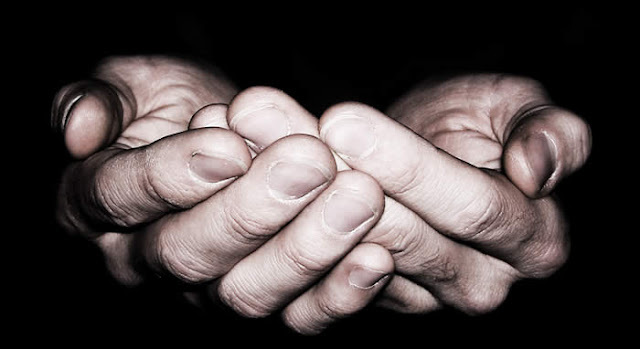 Gratitude first impacts its giver and then radiates through the receivers. Although God may appreciate this approach , in all actuality He is probably smiling a told-you-so grin. Expressing gratitude brings joy to the giver but also radiates happiness to people around us. Christian solitude is simply spending time alone with God. It has great value. In a world that does not value physical solitude and isolation from others, Christian solitude is essential to our Marianist life. There are, however, some valuable dynamics that occur as we make the conscious decision to spend time alone with God. Remarkably, solitude allows us to develop greater unity, deeper compassion, and renewed perspective. Thomas Merton who is perhaps the most famous monk and spiritual writer of the twentieth century has offered us some insight into Christian solitude. As a young Cistercian monk at the Abbey of Gethsemani, he increasingly felt the need for solitude. After much difficulty and testing, he eventually lived as a hermit near his monastery. Merton's experience of solitude demonstrates this paradoxical truth: The journey into greater and greater solitude increasingly unites the heart and soul to all peoples, especially those who are poor and most in need. "Not all men are called to be hermits, but all men need enough silence and solitude in their lives to enable the deep inner voice of their own true self to be heard at least occasionally. ... For he cannot go on happily for long, unless he is in contact with the springs of spiritual life which are hidden in the depths of this own true soul." 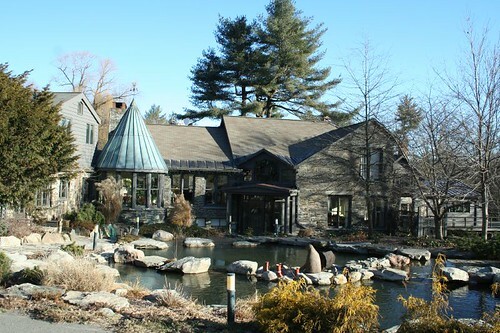 Over the next few weeks the Marianist of the Province of Meribah will be engaged in their annual retreat at Founder's Hollow. It will be a time for solitude, pray, relaxation and community building. Please pray for us. And so, how do you pray? Often my prayers slip into just ordinary routines, predictable patterns, yet prayer is all around us – like our breath. So many different ways to talk with God are waiting to explore. There are a myriad of ways to address God when words are inadequate. We certainly can get to know God better by spending time with Him. The more I pray with thankfulness, the more I realize the power in gratitude. I have read that love and gratitude are the two most powerful emotions for humans. We are taught from childhood to say "thank you," but as I get older I have discovered I never can fully thank God enough for all the blessings from Him. At the end of each day before sleep I pause and review the day: What am I most grateful for? What am I the least grateful for? 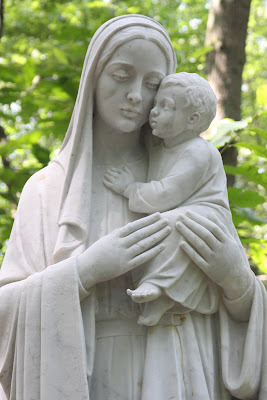 The whole Family of Mary is mindful of Blessed William Joseph Chaminade since the 200 anniversary of the foundation of the Daughters of Mary Immaculate has begun. The 200 anniversary of the Society of Mary is approaching quickly. His presence is particularly felt in Bordeaux, France. The Marianists have held a presence in this area since the earliest days of our Founder. Several years ago two of our Brothers attended the International Horizons program for Marianists. There they met with other Marianists from around the world to capture the spirit and charism of our Founder. The participants were able to tour Blessed Chaminade's room in Bordeaux, France. Here in this video, Fr. David Fleming, former Superior General of the Society of Mary, gives a brief tour of Blessed Chaminade’s room in Bordeaux, France. We are able to share with our Brothers their experiences of Bordeaux and continue to pray for the Canonization of Blessed Chamiande. If you don't know who he is, he is a fairly famous Italian musician, blinded early on by glaucoma. Here he is talking during one of his concerts: The video was made over a year ago but was only recently circulated on various websites. Bocelli, who is blind, didn't expect the fuss over his testimony but voiced his pro-life stance clearly in a recent interview with Italian newspaper Il Foglio, as reported by LifeSiteNews.com. "Because of my personal convictions as a devout Catholic, I am not only fighting against something, I am fighting for something – and I am for life," the world-famous tenor said. In the video, Bocelli does not make arguments defending the dignity of human persons in the womb, but rather tells a short story of how he came to be. His mother, he recounted, was hospitalized while pregnant for what was thought to be a simple attack of appendicitis. The doctors applied some ice on her stomach and after the treatments were complete, they advised the mother to abort the child. "They told her it was the best solution because the baby would be born with some disability," Bocelli explained in the video, which was translated for English-speaking viewers. But his mother decided not to abort the child and Andrea was born on Sept. 22, 1958. "Maybe I'm [biased] but I can say that it was the right choice," he said. Bocelli explained to Il Foglio that he recorded the video at the request of his friend, Father Richard Frechette, a missionary who works with children in Haiti, to raise funds for a new home, as reported by LifeSiteNews.com. He was asked to provide hope to struggling mothers. "I hope this could encourage many mothers that sometimes find themselves in difficult situations – in those moments when life is complicated but want to save the life of their baby," he said in the video. St. Benedict pray for us! Few saints have left such a palpable impact on the world as St. Benedict, the monk whose Rule set a standard for the Western monastic tradition. His balance of work and prayer, his validation of community life, and his regulation of monastic discipline set the pattern for religious life for centuries. He died in Italy in the sixth century. Benedict was proclaimed Patron of Europe in 1964 by Pope Paul VI. Marianists celebrate him as their Patriarch (cf. Rule of Life 4.10). "Listen, O my son, to the precepts of thy master, and incline the ear of thy heart, and cheerfully receive and faithfully execute the admonitions of thy loving Father, that by the toil of obedience thou mayest return to Him from whom by the sloth of disobedience thou hast gone away. To thee, therefore, my speech is now directed, who, giving up thine own will, takest up the strong and most excellent arms of obedience, to do battle for Christ the Lord, the true King. In the first place, beg of Him by most earnest prayer, that He perfect whatever good thou dost begin, in order that He who hath been pleased to count us in the number of His children, need never be grieved at our evil deeds. For we ought at all times so to serve Him with the good things which He hath given us, that He may not, like an angry father, disinherit his children, nor, like a dread lord, enraged at our evil deeds, hand us over to everlasting punishment as most wicked servants, who would not follow Him to glory." Pentecost Video from Sharefaith on Vimeo. During our Community sharing on the Scriptures last week we focused on the word love. The Scriptures gives us a clear explanation of God's view of love. It is not an emotion. It is kind, considered and patient. Love does not envy, is not proud or rude and is never self-seeking or easily angered. It keeps no record of wrongs, does not delight in evil and rejoices in truth. It always trusts, always hopes and always perseveres. We need to grasp it, live it and share it. Only God can truly define love. He himself is love. He showed us his love by sending us His Son. It’s called “The Marshmallow Test” and has to do with patience which is one of the 12 fruits of the Holy Spirit. 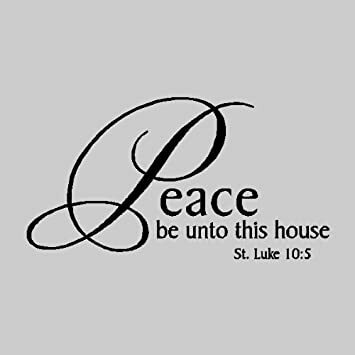 In the Gospel of St. Luke, Christ says, "Into whatever house you enter, first say, ‘Peace to this household'." Though the world may be hostile at times, the Lord tells us, upon entering into any place to say “Peace to this household.” It is not necessary to go with hostility but go with a calm joy and love. We must love those to whom we announce the Good News. We are to radiate a sense of confidence, a sense of joy and a sense of peace. We are not picking a fight or trying to win an argument. If we need to settle a misunderstanding with someone we ought to do so peacefully and with a calm confidence. Because we are confident in the truth we are calm in it. Habit three: Be at peace! So, how much do you pack when you are going away? Some people gather their needs and place them in a backpack and off they go. Others get their suitcase and can barely fit the essentials. But the Lord tells us to travel light. "Carry no money bag, no sack, no sandals; and greet no one along the way." The Gospel encourages us to bring nothing along that will weigh us down or hinder our task. The fact is we all have a lot of baggage that hinders us from the more important work of spreading the Good News. On top of all this we add endless projects and pursuits that keep us running all over God’s green acre. Perhaps good in themselves, they become too much of a good thing and we end up barely knowing the first people we are to evangelize, our children. The Lord says, lighten up, less, is more, simplify and do with less. Do the more important first: God, family, school and community. Learn to prioritize and then say “no” when necessary. The bottom line is that we just have too much baggage, too many distractions and the Gospel goes unlived and unpreached. 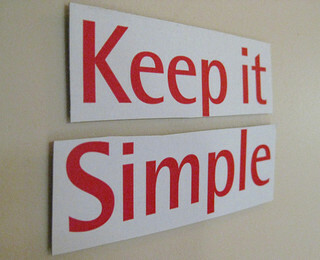 Habit two: Be simple! Christ's plan for Evangelization is not just some sort of haphazard, shoot from the hip program where he wanders about aimlessly. Rather the Lord had a plan to visit specific cities at specific times. And, in order to prepare for his visit, he sent an entourage ahead of him. Their goal was to scout out the scene and to prepare and arrange all the necessities for his visit. So step one for effective evangelization is to have a praying community asking for laborers. Habit one: Pray! Last year brought us the hauntingly beautiful film Ida, in which a young cloistered nun in 1960s Poland experiences a crisis of faith after learning her parents, whom she never knew, were actually Jewish. This year, we have yet another historical drama about Polish nuns with The Innocents. This poignant tale, based on a true story, follows a group of Benedictine sisters in 1945 Poland as they call upon a young doctor to help them deal with a horrible secret. It is a story that is undeniably heartrending and occasionally dark, but ultimately uplifting. The film begins with Sister Maria (Agata Buzek) hearing cries of agony during her evening prayers. Stealthily, the nun slips into the night and trudges through the snow to a nearby village in search of a doctor, one she insists must not be Polish or Russian. After some impassioned pleas, a French Red Cross medic by the name of Mathilde (Lou De Laâge) agrees to accompany the sister back to the convent. There, Mathilde is dumbfounded to discover a young nun in the final stages of a difficult, potentially fatal labor. She manages to save both the mother and child, but immediately afterwards is set upon by the convent’s Mother Superior (Ida’s Agata Kulesza), who is furious that Sister Maria has allowed a stranger inside their consecrated walls. Mathilde is ordered never to return but. concerned for her new patient, she threatens to expose the incident if not allowed to care for the woman. Reluctantly, the Rev. Mother agrees, not just to let Mathilde come and go as needed, but to learn the truth behind what has transpired. What Mathilde hears horrifies her. As the war began to wind down and the Germans were driven out of Poland, Soviet troops moved in to occupy the region. Coming upon the convent, the Russian soldiers forced their way in and repeatedly raped the nuns, leaving seven of them pregnant and traumatizing the rest. While not sharing the sister’s religious beliefs, Mathilde understands the shame and scandal that will ensue should the details of the situation get out. She agrees to secretly administer to the nuns until they all give birth, at which point the Mother Superior has promised to quietly have the children adopted. What follows is an entirely involving tale as the women struggle to deal with not only the physical effects of the assaults, but with the psychological damage as well. In a welcome change of pace from the typical American star-vehicle, which would surely have concentrated on the ‘saintly’ doctor, the movie deftly introduces us to each of the nuns and lets us get to know them as individuals. This is most evident in a scene in which Mathilde convinces the Mother Superior to allow her to examine each of the pregnant nuns despite the fact that their vows typically would not allow their bodies to be touched. One takes the examination nonchalantly, one giggles hysterically, and one flees in terror, convinced she is condemned to Hell. In scenes like this, the film explores the many ways in which victims deal with such trauma. Ultimately, though, The Innocents becomes a story of faiths tested, both religious and atheist. Between what they have already endured and a shockingly unexpected third-act betrayal that compounds the hurt, some of the sisters ultimately can’t reconcile their beliefs with what has happened to them. Most, however, amazingly find comfort in God. Mathilde is at first perplexed at the dichotomy of these women finding peace after such an ordeal, but as Sister Maria gently reminds her, behind all joy lies the cross, and faith can often feel like 24 hours of doubt with one minute of hope. In the end, God can bring good out of even the worst of situations. This is more than evident in the resolution of the film, one which some will no doubt criticize as being too neat and clean, but one which feels right just the same. The Innocents is not a faith-based film per se. Like its main character, the movie approaches the subject matter as a secularist. But also like Mathilde, the film ultimately develops a respect for those who maintain faith in the face of the hardships the world has to offer, and admires them for it. So it seems we can now add The Innocents next to Ida as part of our growing collection of exquisitely made historical dramas about nuns in Poland. I’m not sure what kick started this particular trend, but considering the quality of films it’s given us so far, let’s hope it doesn’t stop any time soon. There is probably no document in the history of the United States of America that has had a more profound influence upon our nation than the Declaration of Independence. Its implicit meaning not only reflected the attitude of those who strove to separate themselves from the tyranny of England, but has also guided the principles of freedom for a nation for over two-hundred years. There have been many revolutions and many upheavals since then. Yet there is only one America, only one United States. And we, in this greatest of countries, have a legacy to uphold and a purpose to continue, something that goes beyond petty differences in party or thought, something that in the end will, as it must, bring us all together. When Gabi Shull and her family were told that she had developed a type of bone cancer at the age of nine, they were devastated, but met the challenge with an incredible amount of inner-strength and faith. Gabi bravely opted for radical life-saving—and life-changing—treatment, showing the Big C that it would not get the better of her. In a recent video Gabi explains how the cancer was discovered when after a simple fall while ice skating, a bang to the knee just didn’t want to heal. A doctor’s exam went on to reveal that she had osteosarcoma, a bone cancer common in children and young adults. In order to save Gaby’s life, and give her a maximum chance of movement, talented doctors performed a rotationplasty, a procedure whereby the leg is amputated from the knee down and the ankle is reattached in a backward position to the thigh, forming a new knee joint, this allowing a prosthetic lower limb to be attached to her foot. Wise words. But Gabi set her sights even higher. She didn’t just get through this ordeal, Gabi used it to do extraordinary things. With determination and physical therapy, she was able to walk on her new prosthetic in just one year after surgery, and a year after that, she was on stage dancing … and she hasn’t stopped. This year’s season of American Ninja Warrior has caught the eye of many for its intriguing array of competitors. Earlier this month Supergirl stuntwoman Jessie Graff conquered the course wearing a Wonder Woman costume and later an Orthodox rabbinical student wearing his yarmulke and tzizit made his attempt to become the next ninja. However, one competitor this season has been making waves not only for his impressive display of human strength, but also for his outspoken Catholic faith. Sean Bryan calls himself the “Papal Ninja,” and was able to finish the course in two minutes and thirty seconds, qualifying for the next round. During the competition, Bryan wore a bright yellow t-shirt with a logo that says “Papal Ninja.” Yet his t-shirt is not some façade, but an exterior sign of a much deeper faith. While being raised Catholic, Bryan wasn’t enthusiastic about his faith until college, when a local priest helped guided him and encouraged him to attend a retreat. He was reluctant at first but decided to start going to Mass more often. After becoming more active in his faith, Bryan eventually attended a retreat and discerned that God might be calling him to the priesthood. Even though he found God was calling him elsewhere, Bryan remained committed to his faith and sought to evangelize others as a lay person. Bryan trains for the competition in a garage at the Salesian house, which he converted into a gym designed to help him prepare for the contest. While he is excited about the chance to further compete on the show, he doesn’t expect to win the million dollars. 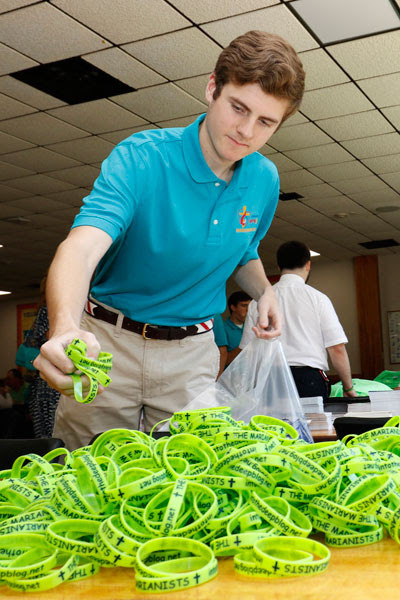 He just wants to have fun and, in the process, share his Catholic faith with the world. I am sure we have all gone off to some family vacation or trip. It is there that the whimpers come from child-bound back seats in whizzing cars, the famous summer-time plea, "Are we there yet?" The journey, the pilgrimage, the desire to get there, are such a large part of human life. Roadside parks and various comfort stations along the way offer temporary relief, but the road constantly beckons the traveler. Israel has had a long journey from prosperity through infidelity and back again. The Temple has been rebuilt and there is promise of more than a comfort station offered in today's First Reading. The people of Israel had been longing for the consolation of their holy home during their exile. In their own national history, they had stopped at various wayside altars in the false hope that they could worship that god and end the searching. Today's first reading is from the end of the prophecies from the Book of Isaiah. The picture given is that of a mother nursing her whimpering baby. Jerusalem, as the city of God, is the terminus for God's people and, like a loving mother, God has been waiting to embrace all those who have kept faithful to the long road back. Acceptance, welcome, nourishment and a sense of being back home are promised and all within the experience of great joy for God and for God's children. In today's Gospel we hear Jesus saying, "Go on your way." He is preparing a large group to get going, but with some definite instructions about the manner with which they are to go. Instead of a securing-sense offered by having maps, Jesus tells his followers that following Him now means trusting the unknown and indefinite so that God's motherly care for them will be known.